Amber Oil is the second natural preparation from natural amber after Amber Acid. Amber Oil is volatile oil but in distinction from other famous volatile oils, it acts as natural antiseptic, possessing effective wound - healthing features and having advantages of foreign and local manufacturers. It has immuno stimulating effect, helps in combating against viruses, energizes and actively rejuvenates and regenerates skin cells. Amber Oil is derived in a way of amber melting, resulting in production of three products: Amber Acid, melted amber and volatile amber oil. Natural amber pieces up to 5 mm in diameter are used as raw material for production. These pieces are placed into special bulbs and later natural amber is being melted at the temperature of 350-370ºC. The present manner enables to obtain volatile oil from non-traditional raw material, which has long storage life, is comfortable for use and gains features of natural antiseptic. This is the way for production of Amber Oil, natural antibiotic, having markedly wider range of application than other famous volatile oils, being used only for aroma therapy and production of cosmetic oil. 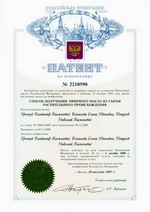 Volatile oils are short in supply and expensive products, which has wide application in medicine, industry of perfumery and cosmetics or chemical – pharmacy also in domestic sphere. The main feature of volatile oils is their capability of being absorbed via skin and penetrating to blood. Due to the present feature they are fact-acting. Activation of healing processes has been observed under application of Amber Oil: wounds were likely to heal in minimal physiological period without formation of ragged scarring; wounds used to clear from necrotic tissues and fibrinous incrustation; granulations used to become dry of purple red colour; doctors succeeded in preparation of wounds for dermanaplasty operation on during markedly shorter period. Dermatosis such as furuculosis, pimples, pyodermia, impetigo, dermatopathia, herpes, tinea, psoriasis, angular cheilitis etc. Cuts, scratches, bruises, bed sores, allergy from noxious plants, callosities, bullae, verruca, stings. 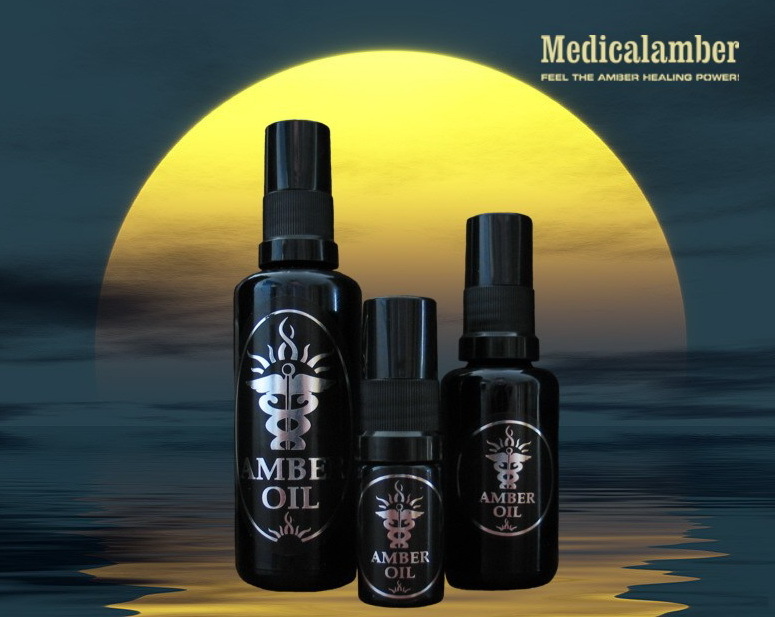 In domestic sphere Amber Oil is used for air disinfection in a room also in order to get rid of bugs, jiggers and for skin inflammation of domestic animals. 10 drops of Amber Oil is recommended to drop into bottle of face cream and to mix. Such cream has effect of rejuvenation and regelation of skin, also helps to eliminate inflammatory processes. In order to get rid of pimple Amber Oils is being added to skin lotion 5 drops/10ml. For more intensive concentration of the solution add Amber Oil to any vegetable oil at the ratio 1:5.